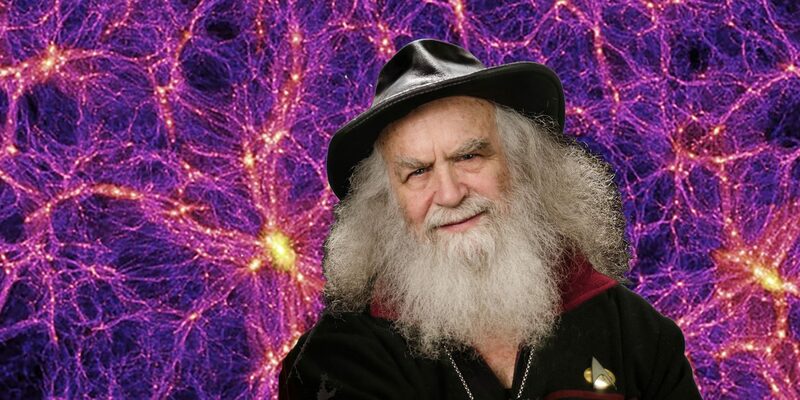 Oberon Zell is a modern-day Wizard, and a leading Elder in the worldwide magickal community. Oberon is a true “Renaissance Man:” a psychologist, metaphysician, theologian, naturalist, artist, inventor, carpenter, sculptor, teacher, author, and Priest. Oberon received his B.A. (Psychology, Sociology, Anthropology and Pre-Med) from Westminster College in 1965, attended graduate school at Washington University on a scholarship in Clinical Psychology, received a Doctor of Divinity from Life Science College in 1967, and earned his Teacher’s Certificate from Harris Teacher’s College in 1968. He has served as a teacher and counselor in public and private schools, from Headstart to High School, as well as being Director of Services for the St Louis Human Development Corporation (1966-1975). He taught at Lane Community College in Eugene, Oregon, in the late-’70s. Inspired by Robert A. Heinlein’s prophetic science-fiction novel, Stranger in a Strange Land (1961), Oberon co-founded the Church of All Worlds on April 7, 1962. An initiate in several different mystical traditions, he has founded and participated in many Pagan ecumenical groups and projects, including the Council of Themis, the Council of Earth Religions, the Universal Federation of Pagans, the Papal Apology Project, the Pagan Leaders Summit, the Grey Council, and the Sonoma County Pagan Network. In 1970, Oberon articulated the premise that all life on Earth is a single vast living Being, known as “Mother Earth,” or “Gaea” to the ancient Greeks. His initial paper, “TheaGenesis,” was published in Green Egg in 1971, two years before British atmospheric biochemist James Lovelock first presented his “Gaia Hypothesis” to the scientific community. Oberon’s theology of “deep ecology”has been universally embraced throughout the Pagan and New Age communities. Oberon met and fell in love with the incomparable Morning Glory, his soulmate and beloved wife of 40 years, at the 1973 Gnostic Aquarian Festival in Minneapolis, where he was a keynote speaker. They married in April of ’74, and from 1977-’85 they lived in a 5,600-acre intentional community in the mountains of Northern California, creating a rural homestead and wilderness retreat center. On February 26, 1979, they designed and led a ritual with other Pagan leaders to celebrate the total solar eclipse at a full-scale recreation of Stonehenge in Washington State, a huge public event attended by an estimated 4,000 people. Oberon and Morning Glory’s research into arcane lore and ancient legends resulted in the famous “Living Unicorn” project, initiated in 1979. The Zells traveled throughout North America in the early ’80s exhibiting their authentic Unicorns at Renaissance Faires and other events, during which period they appeared on countless local and national television talk shows. The project culminated with the leasing of several of their living Unicorns to the Ringling Bros./Barnum & Bailey Circus. Continuing to explore fables and mysteries, in 1985 Oberon organized a video diving expedition to Australia and New Guinea to solve and document the mystery of the Mermaid. Other adventures have taken Oberon to Peru, Hawaii, Alaska, Costa Rica, Mexico and archaeological sites throughout Europe and the Aegean. In 1999, he visited England for the final total solar eclipse of the Millennium, which he celebrated with local Pagans at an ancient stone circle in Cornwall. Oberon’s favorite art project is his ongoing sculpture and jewelry series of Gods, Goddesses, and mythological creatures, presented as “The Mythic Images Collection.” His masterwork is “The Millennial Gaia”—a sculptural representation of Mother Earth based on his 1970 “TheaGenesis” vision. Oberon’s and Morning Glory’s life story was released by Llewellyn in Feb. of 2014: The Wizard and the Witch (with John Sulak). Sadly, Morning Glory died of cancer on May 13, 2014. Subsequently, Oberon moved to Santa Cruz, CA, where he opened the Academy of Arcana in Nov. of 2015 as a physical campus of the Grey School, with a library, museum, and gift store. After two years of worldwide media attention, including an award-winning film, “The Wizard OZ,” the Academy was closed in Nov. of 2017.